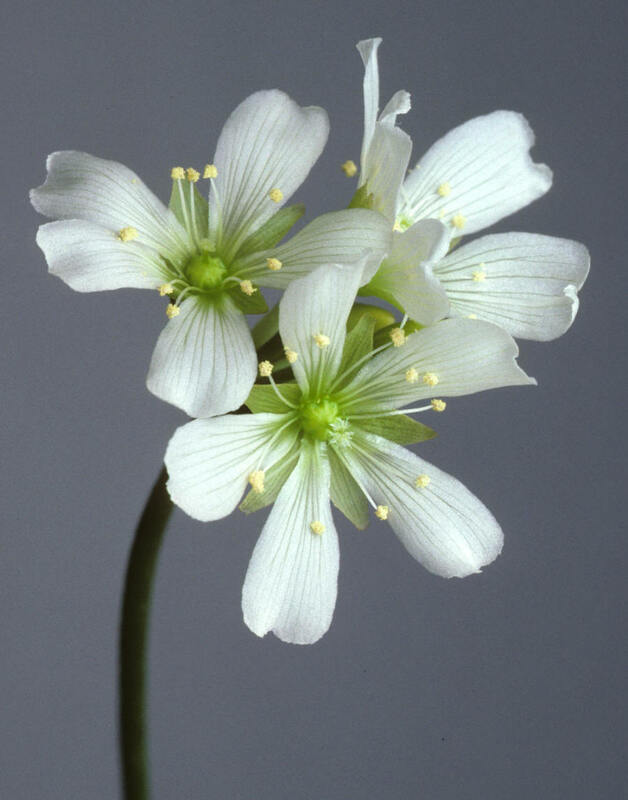 Venus flytrap blossoms. The flower at the top just opened today. The pollen are shed, but the stigma is not receptive. The flower at the bottom is one-day old. The stigma is open and receptive.